Saptaha Mrityunjaya homa is a performance of great significance carried out for seven days and finds mention in Shiva Puranam and Rigveda as a means to bring a person back from jaws of death. 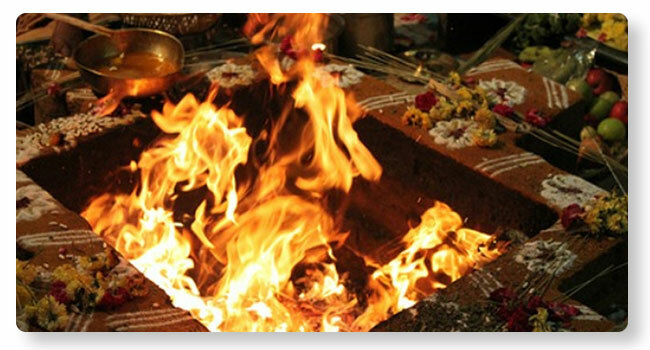 This homa has the ability to ward off any evil or negative elements. It gives the person strength and ability to face adversities of life, particularly when performed on the day of one’s Janma Nakshatra (birth star).